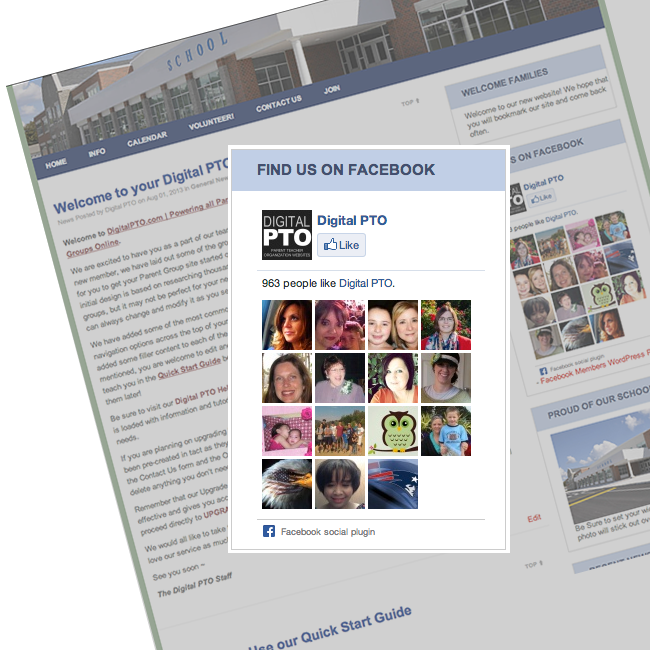 Digital PTO websites are designed to expand with your parent group as it grows. All of our websites offer the same base functionality and our Premier Packages offer additional features above and beyond the Free Plan. The beauty in Digital PTO sites is the simplicity and ease of use you will find as a user. It’s so simple to create your group’s website you won’t believe your eyes. Our technology allows you to build a parent group website quickly, economically and professionally. 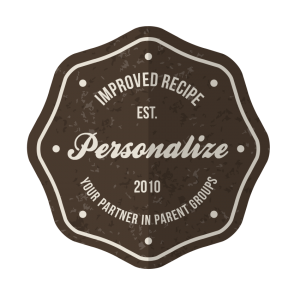 We will help you organize your parent group online, get you started with everything you need to become a strong resource for parents online and provide you with a custom website. 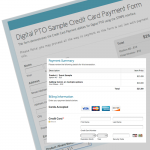 Payment Options: Digital PTO allows you to pay Monthly or Annually. Annual plans offer substantial savings over Monthly Plans. Busy Parent Groups have a lot of information to share and distribute. From Membership Drives, to After School Enrichment, to Fundraising Programs to Business Sponsorships. The list could go on and on. 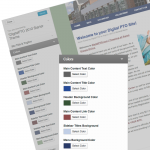 Digital PTO sites are built to accommodate as much information as you want to include. Need a page on Box Tops for Education? No Problem. Need to make a page about the Science Fair? It’ll take you 30 seconds. Posting Informational pages is easy and unlimited with our Paid Plans. Free Plans are limited to 10 informational pages. 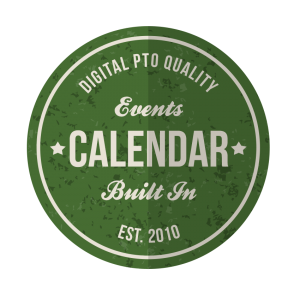 Your Digital PTO website is built to manage and handle all the news and information you can throw at it. Post every month, post every week, post every hour, it’s up to you. One thing is for certain though, we won’t stop you! Unlimited News Posts for all plans. In our testing, we have seen that news posts with an image are 5 times more likely to be read than news posts without. Images add a connection for readers. Upload clip art, stock photos or your own photos to enhance your group’s website. Need to resize an image? Your website will take care of that with a few clicks. It’s true. 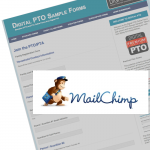 If you can send an email, or create a simple Word Document, you can run a Digital PTO site. They are that simple to use. First, decide if you need to add News or Information. News is something with a time-frame attached to it like “Science Fair next month!” and Information is something that you always want available on the site like “Contact the PTO”. Once your selection is made, type or paste the text you want to use, click to add an image, preview your post & when you are happy with it, publish your news to the community. It’s really that simple. 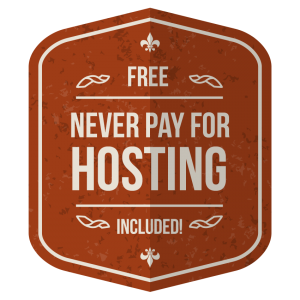 No Hosting Fee’s to Pay. It’s On Us. Forever. We know that most PTO’s are on tight budgets, so we cover all of the hosting fee’s and only ask that you pay for the premium services if you decide to take advantage of them. You’ll never have to worry about hosting fee’s, domain names, renewals and more. We can take care of all of that for you. Always. Digital PTO websites are hosted on state of the art servers and are monitored and maintained 24 hours a day. 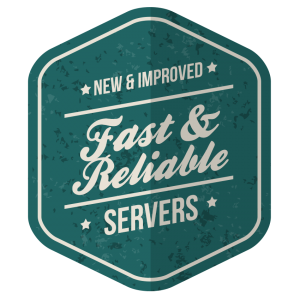 Our delivery speed is fantastic and our uptime stats are off the charts. 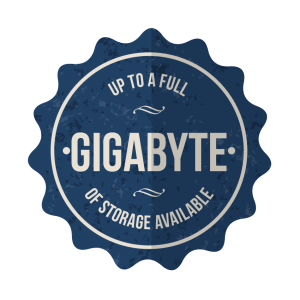 You can count on Digital PTO’s servers to load your website quickly and reliably. 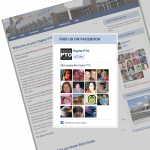 Every Digital PTO website comes with space to upload images and digital documents. Click a button, find the file on your computer and it’s uploaded. It is incredibly simple and beyond powerful. Our Premium Plus Plans receive up to 1000mb (1 Gig!) of space so your chances of running out are slim to none! Upload your Talent Show Entry Forms, your PTO Fun Race entry forms, your PTA Meeting Minutes, photos and more. 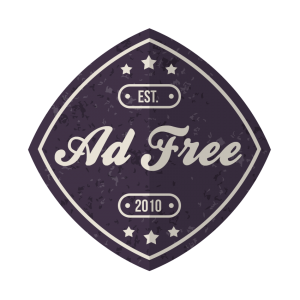 When you upgrade to one of our Paid Plans you will immediately notice that your site is an Advertising Free Zone. No 3rd party Advertisements will be shown on your site when you are a Premium Member. Our Free Plan will display one advertisement per page from a carefully screened and relevant advertising partner at the bottom of the page. 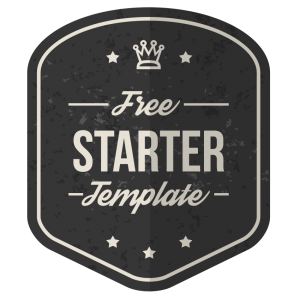 When you create your Free Parent Group Website, we will immediately create a Starter Template to help get you started. We’ll create some sample posts, and create pages for your group’s information like a Contact Us page, Join the PTA / PTO page, Volunteer Information, About Us and more. All you need to do is add the relevant information for your group and you’re set! And of course, you can add as many additional pages as you need. As soon as your site is created, we’ll send you a link to our Quick Start Guide. This guide will walk you through every step you need to take with easy to understand directions to get your site up and running. Once you have completed the Quick Start guide, you can launch your website to your community the same day! It’s super easy. 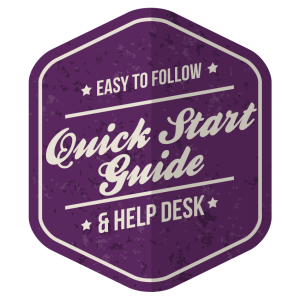 Additionally, the Quick Start guide will teach you how to use your new site like a professional. Require Password or Make it Public. It’s up to you. Some PTO’s make their websites open to the public to keep their communities informed and other PTO’s opt to require a password to access the site. We offer you the privacy choice and allow you to grant public access, or require a global password. Many of our members have Multi-Lingual communities so we make it easy for your users to translate your website into the language that is most comfortable for them. With the click of a button, your users can read your website in Spanish, French, Korean, Hindi and more. 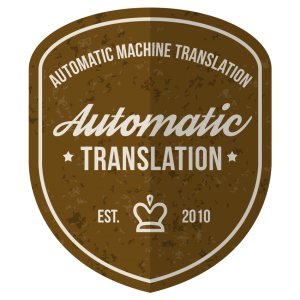 No extra work translating on your end, it’s all automatic and fast. This service is available to all sites, Free and Paid. Just because your website is easy doesn’t mean it has to look like all the other ones out there. We offer over 50 different themes to use on your group’s website depending on your Plan level. All of our themes are designed to be able to work with every website you can create with little to no additional work on your part. Some of our more premium themes offer simple customization options like a school logo upload, selection of school colors and other simple modifications. Web Designer? Yep, you can Edit in HTML if you want to! 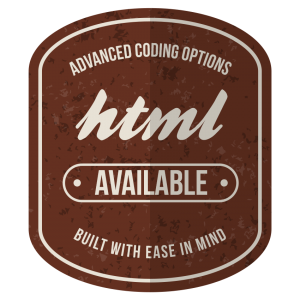 Yes, we have made posting to your website incredibly easy, but we also have the option for more advanced users to switch to an HTML mode and code news posts and pages to their exact needs. You don’t have to edit in HTML at all, but it you want to, it’s there for you. Widgets are little modules that you can drag and drop and arrange on your website. You can add things like your latest news posts, a facebook facepile, or the latest comments you’ve received. 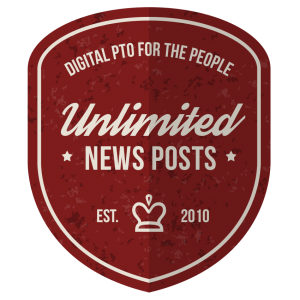 Post things like other PTO links and Resources, Create a call for volunteers and more. There are dozens of options based on the theme you are currently using and using them is as easy as dragging your mouse. Adding Facebook Widgets can be complicated, but we’ve made it as easy! All you need to do is paste the website address for your Parent Groups Facebook Page into your website and we take care of the rest for you. Instantly add a Facebook Facepile to your site in just seconds. Not on Facebook? No problem, it can be removed with the click of a button! 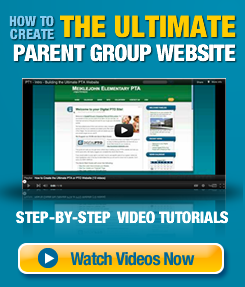 Your Parent Group Website will have a menu structure built into the theme. Almost every theme will automatically create these menu’s for you and most of the themes will allow you to override the menu’s and create your own. This is especially useful for groups that have a lot of online data and need to keep things organized in order to effectively find things quickly. By customizing the menus, items can be grouped and merged, etc. It all depends on your individual Parent Group needs. We give you the options, you run with it from there. Many of our themes (including some free themes!) will allow you to make simple modifications like colors, logos and images, social networking integration and more. All of the customizations are optional but if you take the time to work with them you can craft a truly unique website. Change the look and feel to meet your exact needs or stick with the default options. It’s up to you! Qualified Plans offer embedded pdf documents to ensure compatibility and ease. 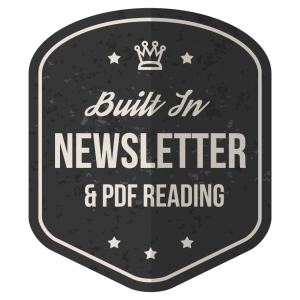 In other words, you can upload your group’s newsletter as a PDF and with one simple command, your PDF newsletter is right there on your website ready for your community to read or download and print. No PDF software needed for your visitors. 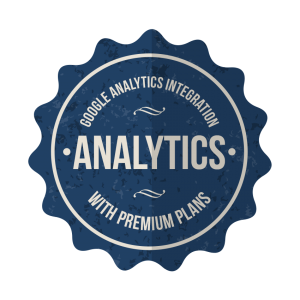 If you don’t know what we’re talking about, you can skip this section, but if you are into the analytical side of things and want to integrate Google Analytics with your PTO website, it’s as simple as pasting your ID and you’re done. We take care of the rest. Available with Premium and Premium Plus Plans. 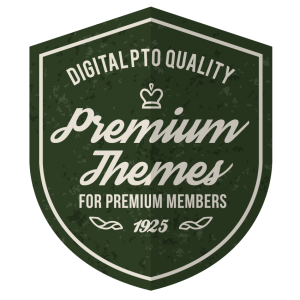 Basic, Premium and Premium Plus Plan Members enjoy the ability to replace the standard schoolptaname.digitalpto.com format with their own custom domain name. 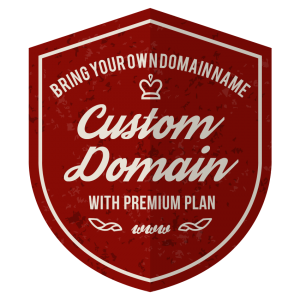 Once you have registered your domain name you will need to have the ability to either add a CNAME to your hosting or add a DNS “A” record to use a brand new domain name. Premium & Premium Plus Plan Members will enjoy an additional theme that is built right into their site that is designed specifically for viewing of your group’s website on an iPhone, Smart Phone, and any Tablet. We take all the content that your users need and wrap it up into a beautifully packaged web application. You have customization and options galore to make it just right. 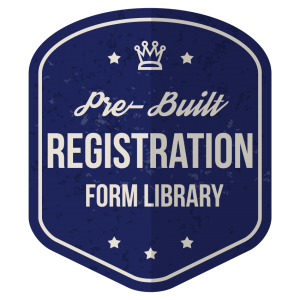 Custom Built Family Registration forms and additional custom forms are available to all Premium & Premium Plus Plan Members. 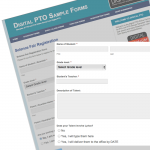 Dynamic Family PTO registration forms will collect Family Information, Student and Teacher Information and more. Completed forms are emailed to you and the data can be downloaded in bulk and used on spreadsheets, mailing lists, etc. 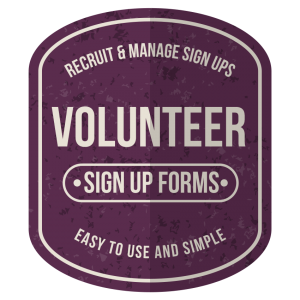 Online Volunteer Interest forms are a great way to gather new volunteers. Especially as younger families start to enter the school system, they will be expecting technology and options online. Completed forms are emailed to you and the data can be downloaded in bulk and used on spreadsheets, mailing lists, etc. You can also filter your results by category in a spreadsheet program like Excel and Numbers to divide volunteers up for each Volunteer Coordinator. 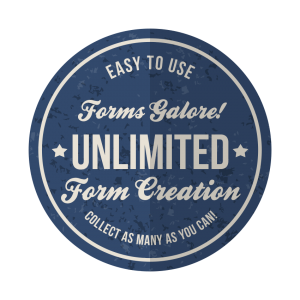 The forms can be completely customized based on your needs. 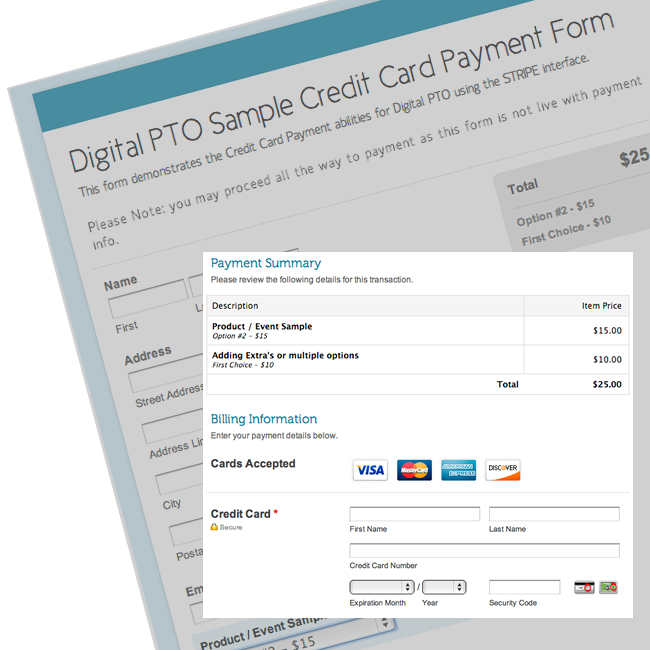 Additional Pre-Built Forms for Science Fairs, Talent Shows & more. 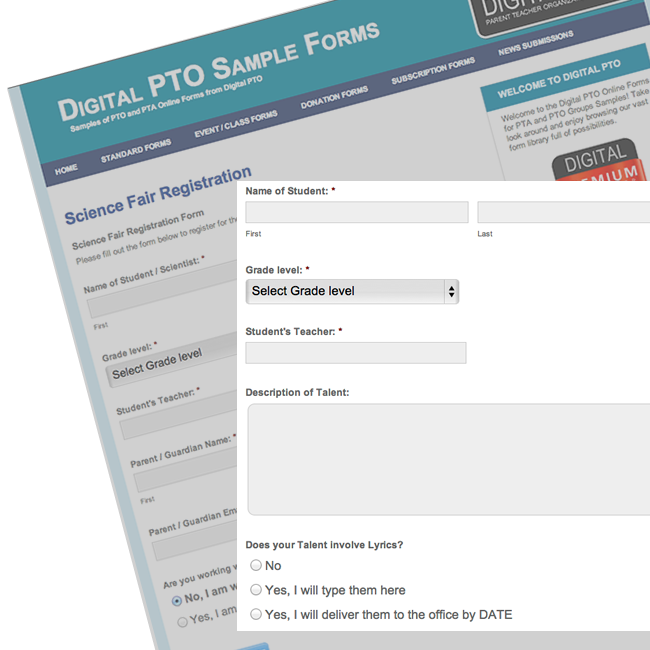 Digital PTO offers a Pre-Built Form Library to our Premium Plus Members ranging from Science Fair Registrations, Talent Show Registrations, Newsletter Submission forms, Donation Forms, Ticket Purchase Forms and more. These forms (plus more!) are available at no additional fee to our Premium Plus Members. Digital PTO makes it easy to download form entries with a few clicks. 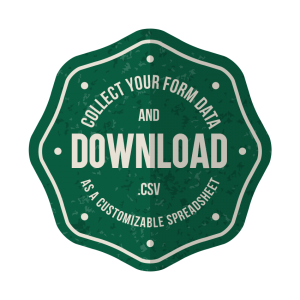 Select the form you want to download the data from, determine if you want all of the entry fields or just some of them and then click the button to magically download everything into an easy to use .csv file. Makes membership lists, registration lists, phone book data collection and more a snap. The sky is the limit with your forms. Create as many different forms as you need. Any kind of form you can think of can be created and published quickly and beautifully. Want to work from a previously created form? No problem, duplicate a form with one click and modify it to your heart’s content. 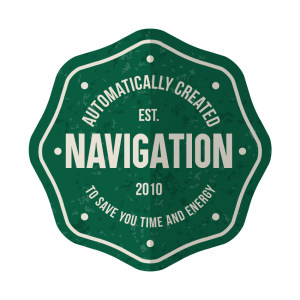 Create and collect data all day long, we’ll never hold you back. Most busy PTAs & PTOs have a lot of checks and cash floating around between events and fundraisers. Imagine being able to allow parents to make payments to your group online. With Digital PTO, it’s possible! 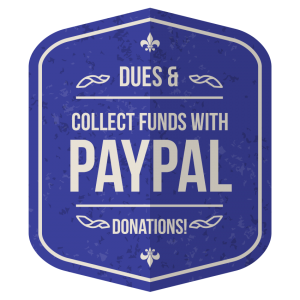 Collect payments for membership, Annual Giving Programs, Carnival Tickets, Phone Books, Donations and much more. Premium Plus with Paypal plans are now able to directly integrate Paypal payments directly into all online forms. We take the guesswork (and grunt work) out of running your PTA and PTO membership drives and more. Payments are recorded along site registrations and all data can be downloaded with a few clicks for your records. 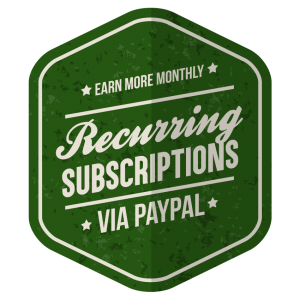 Our forms can also accept Paypal Recurring Subscription Payments if you have a Premium Plus Paypal Plan. Set up a form with Recurring / Subscription amounts for your families and they can set up an automatic monthly, weekly or yearly donation to your Parent Group with no effort on your part. Subscriptions can be ongoing, or for a fixed amount of time, it’s up to you! This is a great way to keep the revenue coming in for your parent group without asking too much up front from your families and community. Most busy PTAs & PTOs have a lot of checks and cash floating around between events and fundraisers. Imagine being able to allow parents to make payments to your group online. 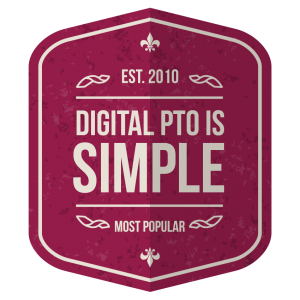 With Digital PTO, it’s possible! Collect payments for membership, Annual Giving Programs, Carnival Tickets, Phone Books, Event Registrations and much more. Premium Plus with Credit Card plans are now able to directly integrate credit card payments directly into all online forms. We take the guesswork (and grunt work) out of running your PTA and PTO membership drives and more. Payments are recorded along site registrations and all data can be downloaded with a few clicks for your records. If you would prefer to send a more traditional email newsletter blast, we recommend Mail Chimp because it is a Free service that is Top Notch. Our form systems can integrate perfectly into your Mail Chimp account and automatically add entries from your Family Registration Forms directly into Mail Chimp. 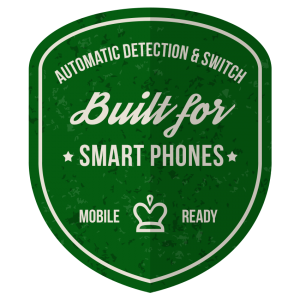 No more importing and exporting necessary, we’ll take care of everything without you even knowing it’s happening. Which Plan is Right for Your Group? Your Parent Group Should Have an Email Address. Here's Why.